Based in the beautiful city of Lahore since 2004, our dental practice aims to provide unparalleled quality dental care. Our dentist Dr Ahsen Javid is a highly qualified and skilled dental professional who strives to deliver the best in everything he does. Prevention of dental diseases and continuous improvement of the oral health of our patients are our principle goals in our multidisciplinary practice. Come visit our dental office and speak to our dentist to check out what we can do to bring out a healthy smile in you. Time is an important factor to our patients and we understand this better. Our dental office is well equipped with the machinery that we require to offer you quality treatment. Patients do not have to run around for anything once they enter our office since we have most of the facilities under one roof. The best part is that our dentist makes use of this equipment to explain patients about dental treatment and its importance. We do this because we believe that spreading knowledge about dental care can truly prevent dental diseases and improve oral health in the community. Our dental treatment is comprehensive and is aimed at bringing out a healthy smile in patients. Cosmetic Dentistry treatments, restoring weak tooth, whitening teeth, replacing lost tooth, professional dental cleaning and straightening teeth are all done at our dental office. Our dentist also offers sedation dentistry for patients who are anxious about dental procedures. Patients can feel more relaxed and comfortable when our dentist is around to take care. Our motto is to provide genuine dental care to all the needs and expectations of patients. 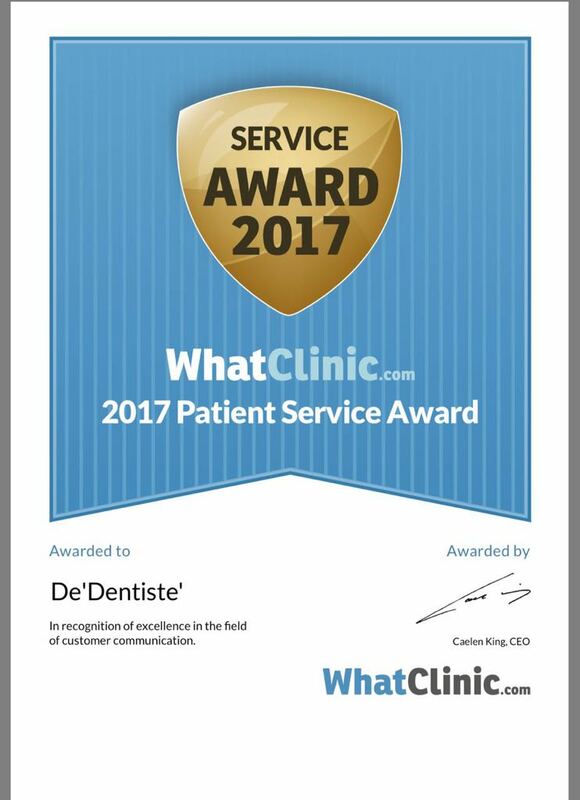 If you are looking for the best dental services in the city of Lahore, then De Dentiste is the place to be for all your needs. Our team is friendly, caring and show all care while you visit us for consultation or undergoing any treatment. Call us immediately at 03008491016 and let your SMILE blossom your life.